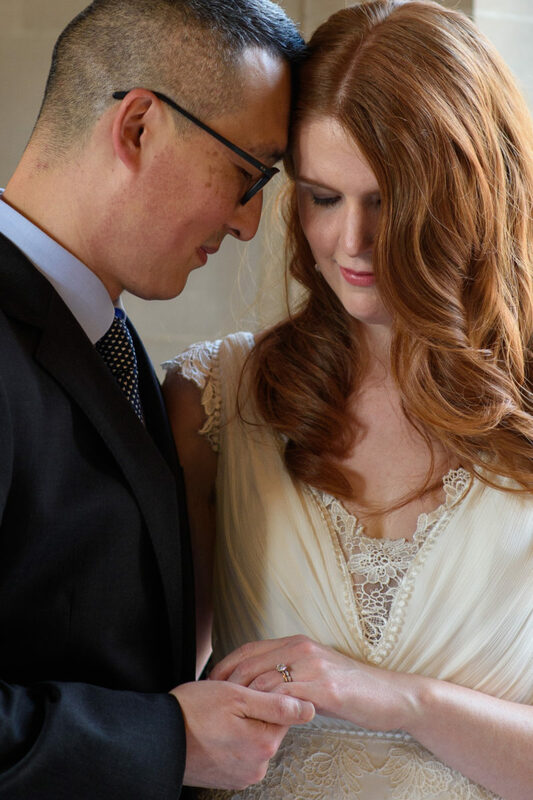 What makes each wedding photographer different? There are many answers to this question and most of them revolve around Picture Quality, Style and Pricing. Different clients are attracted to various styles and certain prices depending upon their budget. Overall picture quality is hard to rank because it is so subjective. Each engaged couple may like something different depending upon their individual tastes and background. Obviously there are all kinds of budgets out there. Some people have tons of money to spend on their wedding and others don’t even want to pay for a professional wedding photographer. 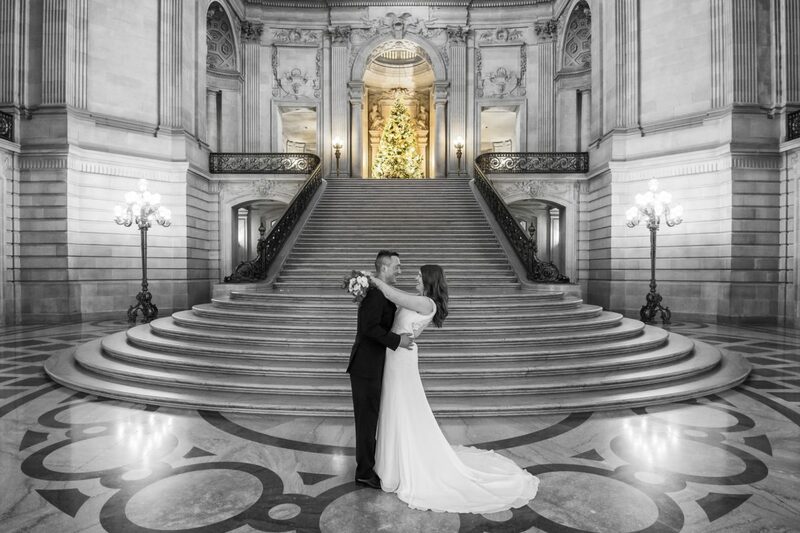 We see people at San Francisco city hall all the time with friends taking pictures using cell phones! 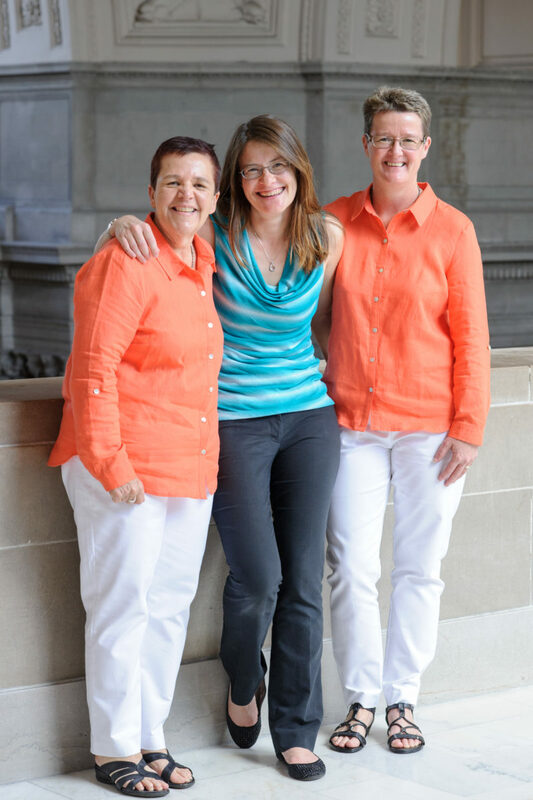 Again, there are many different opinions, finances and style preferences. 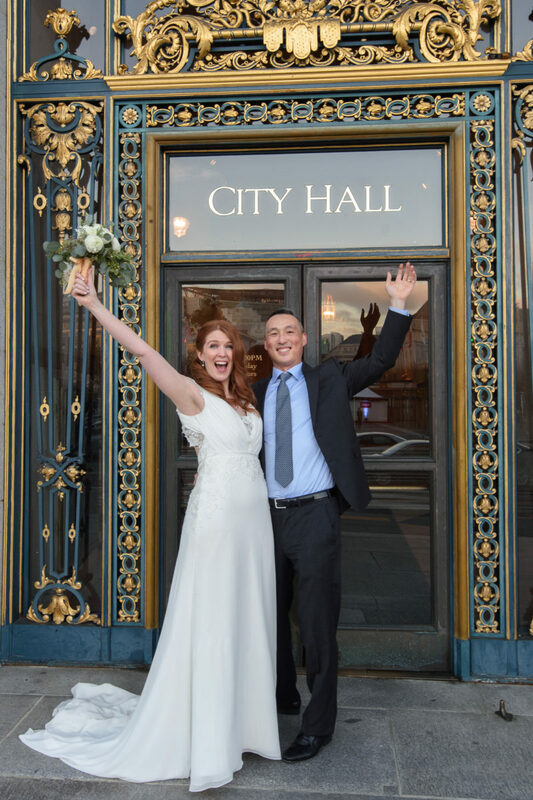 However, the one thing that everyone seems to like is a courteous, friendly and fun city hall wedding photographer. In the photo below you can see my photography partner Toni Bailey with one of our couples. Ever notice how much easier it is to smile for the camera when the person taking the photo is smiling too? Try it sometime. Take a photo of a friend or loved one and scowl at them or just act serious while asking them to smile. Take some pictures and store them for future comparisons. Now, take pictures a couple days later of the same friends or relatives, but this time when you take the picture and ask them to smile, be sure to be beaming yourself! Save those pictures also and the compare the results. What will you see? The subjects in the second set of pictures with the smiling photographer will have more natural smiles and be more at ease. The first group with the frowning photographer will also be displaying smiles. But look closely and you will a difference. More strain and stress, but mostly more fake. This especially works well if you know your subjects well and can easily identify when this friend or relative is faking it. 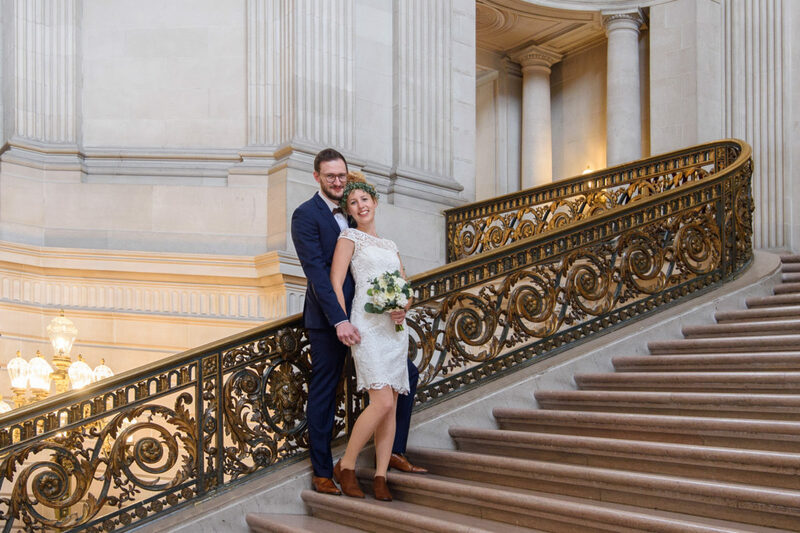 This is how we run our San Francisco City Hall wedding photography service. We do everything we can to maintain a friendly environment and remain upbeat. But most of all, WE SMILE during the photos. Try it sometime, it works!! Decide whether you want a reserved space at city hall by paying $1,000 and putting a deposit down on either the Mayors Balcony or 4th Floor North Gallery. You can do this by contacting the Events department at city hall by clicking the link. The advantage of doing this is that you will have a 1 hour roped off section of city hall all to yourself, complete with chairs for your guests. Most people only do this if they are planning on many guests. 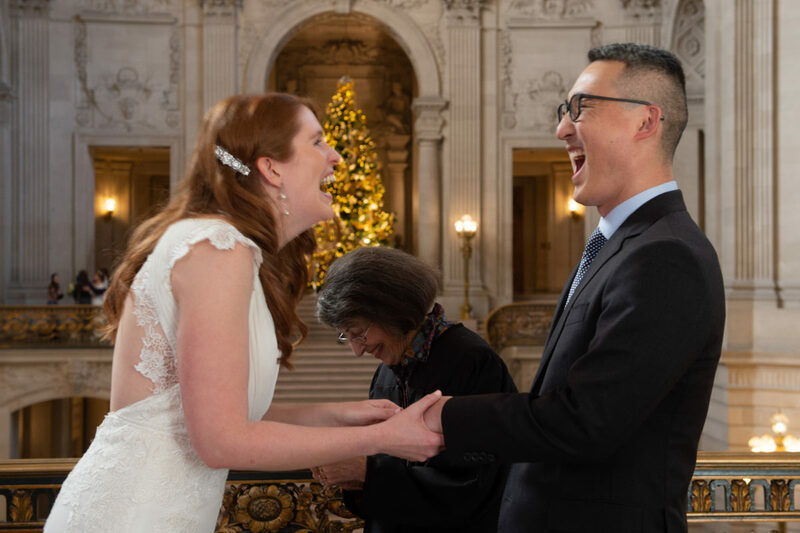 San Francisco city hall limits it’s standard weddings to 8 guests. 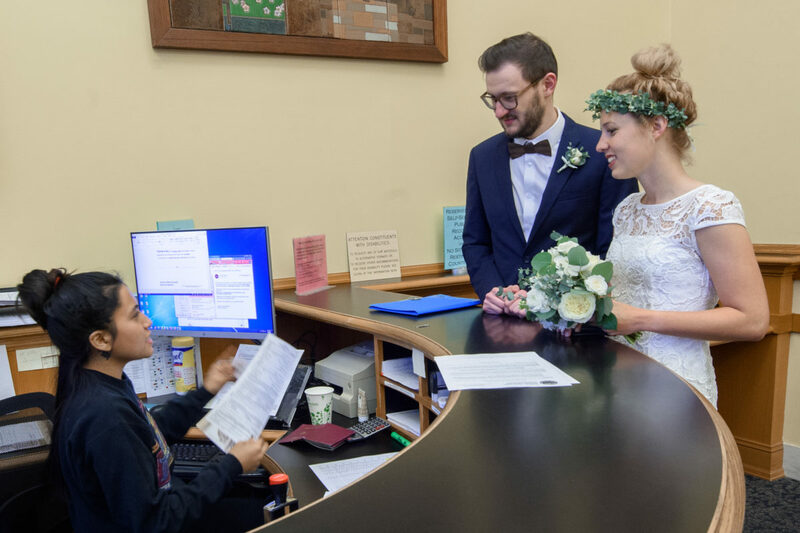 Book your marriage license appointment by clicking this link. 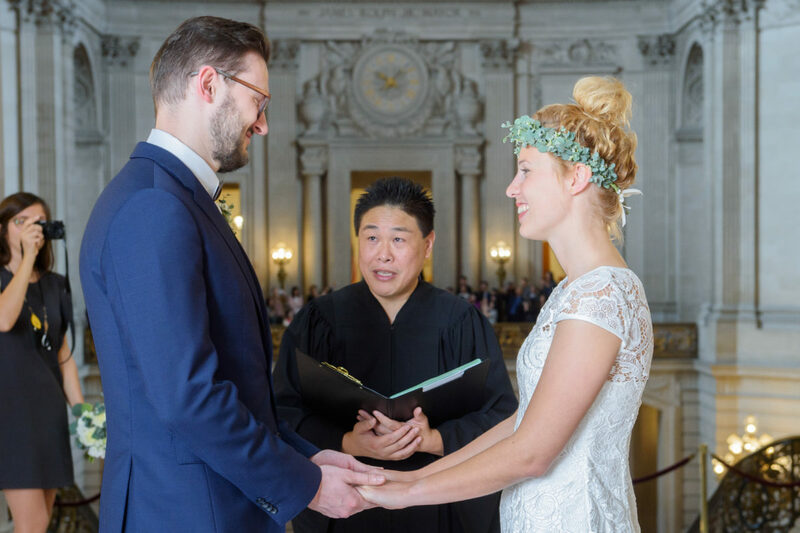 This appointment should be made at least 1 hour before your ceremony. The County Clerk says you can just book it 30 minutes ahead, but my experience is that this is rushing it a bit. Be prepared to bring your current Identification and any other legal forms you might want to present. If you have a pending divorce, be sure to bring those documents just in case. You can use a Passport or Driver’s license for identification, just be sure that they are unexpired. City Hall will not accept out of date ID’s. 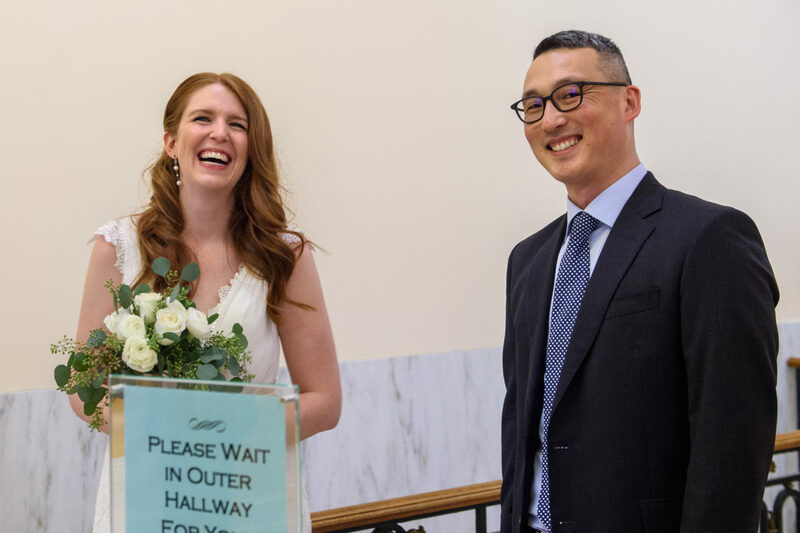 If you decided against paying for the reserved space but still want your wedding here, its now time to book your civil ceremony at City Hall. If possible, try to choose a Tuesday or a Wednesday for less crowds. We understand that many people do not have this option, but if you can, its well worth the smaller crowds. 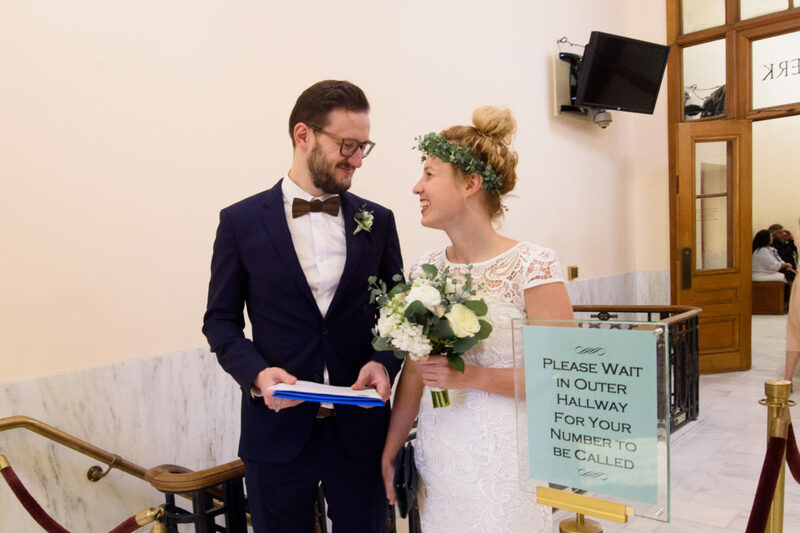 The time of your ceremony matters also, we suggest early morning or late afternoon for best access to all of the building without tourists everywhere around you. 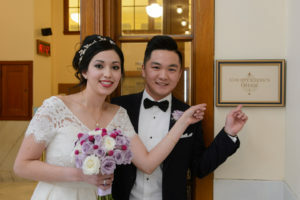 Hire a professional wedding photographer! This is not just a pitch to have you book us, we are very passionate about the importance of recording this all important life milestone. Why rely on your friends Iphone camera? 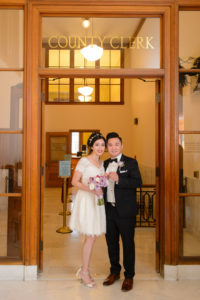 There are many great city hall wedding photographers available and some have excellent pricing. Just look around or talk to us! 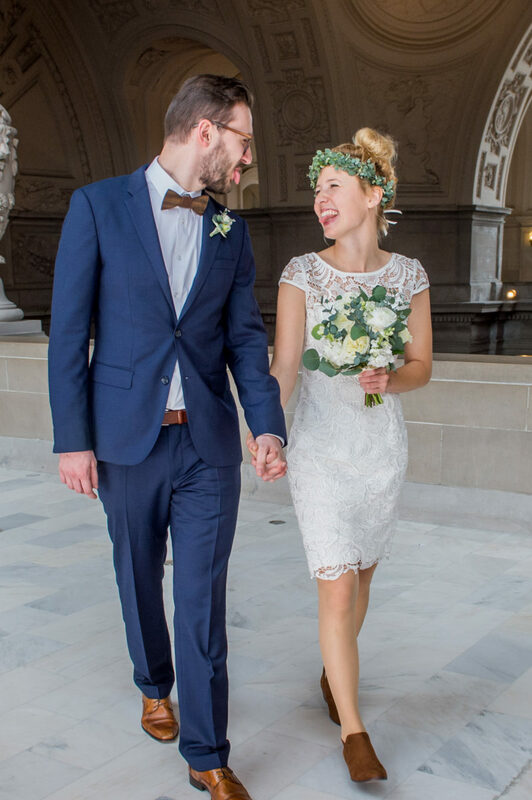 On the day of your wedding, be sure to bring your ID and license if already obtained). We have had some couples forget to bring their Identification or assume that they don’t need to again. But you do! 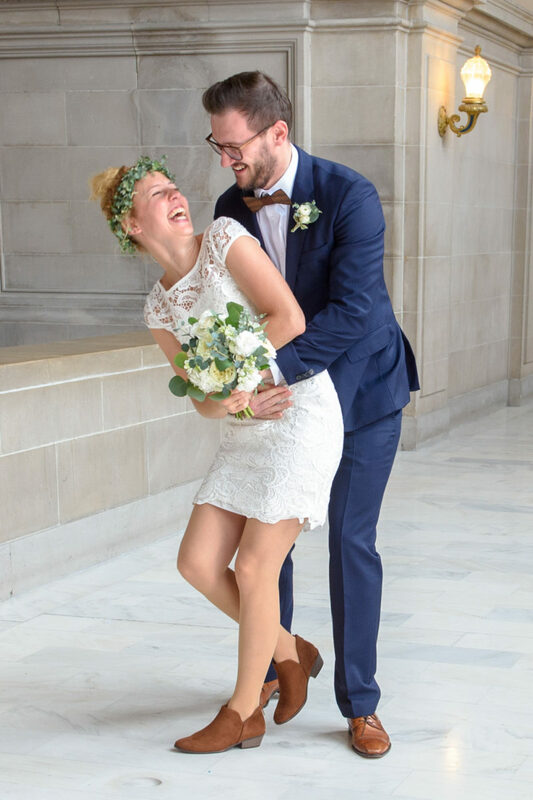 We also encourage the bride to bring walking shoes, the floors are marble and will take their toll after strolling through the building for a while. 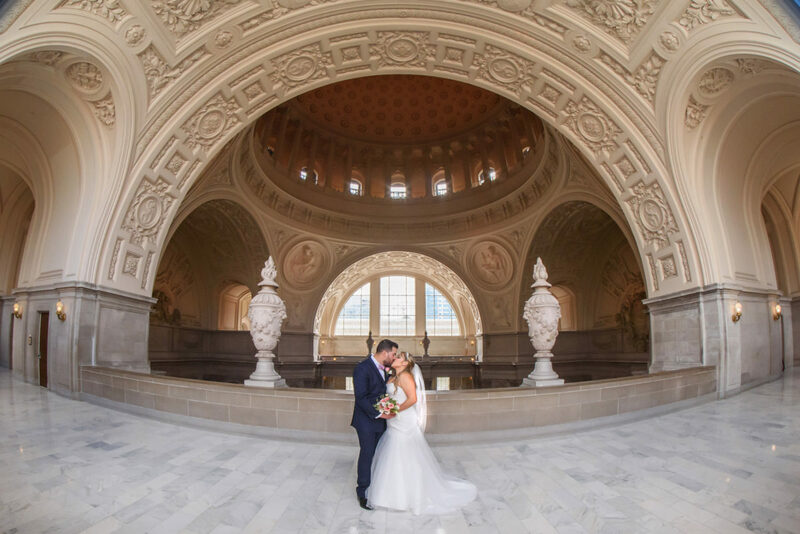 Enjoy your wedding day in this historical wedding venue!